On Sunday, WWE's pro wrestling spectacular WrestleMania will feature an all-women's main event for the first time in Mania history. That's largely thanks to L.A.'s own Ronda Rousey who brought her star power from UFC fighting to pro wrestling last year. 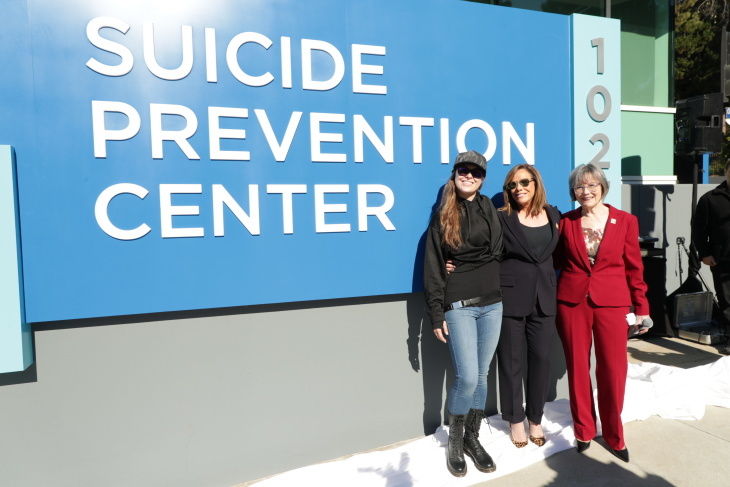 But last month, Rousey shook up the wrestling industry in a different way— by taking time to help promote Didi Hirsch Mental Health Services' new Suicide Prevention Center building in Century City. The decision was made to prominently feature the words "suicide prevention" on the new buildling's sign. 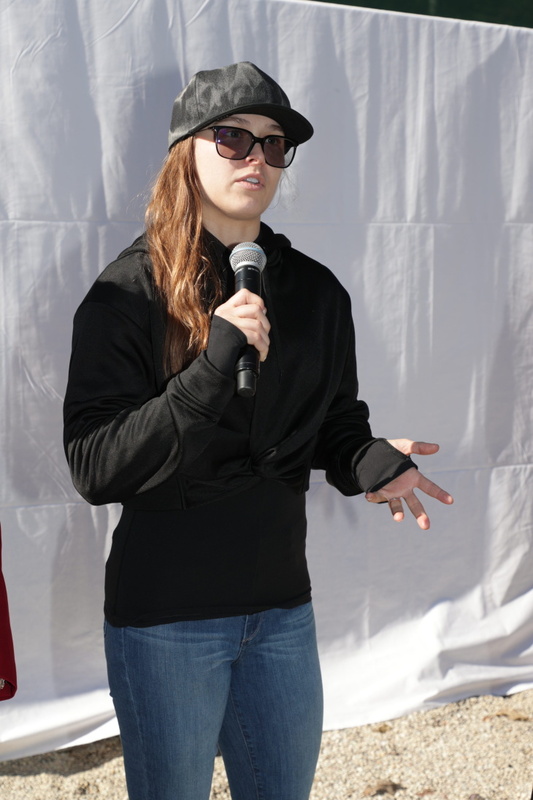 "I was 8 years old when I lost my dad to suicide," Rousey said at the opening. "It had a huge effect on my life. Everything in my life has been affected by it ever since." Rousey got involved with Didi Hirsch through their work with women who are struggling with substance abuse and mental health issues. She was particularly interested in helping women with eating disorders and body image issues, Didi Hirsch CEO Kita Curry told LAist — Rousey herself struggled with bulimia. "Ronda had a neighbor who works at Didi Hirsch, and she reached out to her neighbor because she wanted to do something to give back to the community," Curry said. While it wasn't always on the sign, Didi Hirsch was the first suicide prevention center in the United States when it opened more than 60 years ago, Curry said. They're part of the national network that makes up the National Suicide Prevention Lifeline. They focus on helping both to prevent suicides and to help those affected by them. Rousey helped raise money for Didi Hersch's residential program, Via Avanta, which included putting on MMA armbar clinics and donating the proceeds to Didi Hirsch, according to Curry. "When we remodeled and we built a little gym in this clinic, we named it after her," Curry said. Rousey didn't talk a lot about her history with suicide, which included both her father and grandfather taking their own lives, for a long time. But when she suffered a major loss in UFC, she went on Ellen and talked about feeling depressed and even suicidal. "I was sitting in the corner, and I was like, 'What am I anymore if I'm not this?' 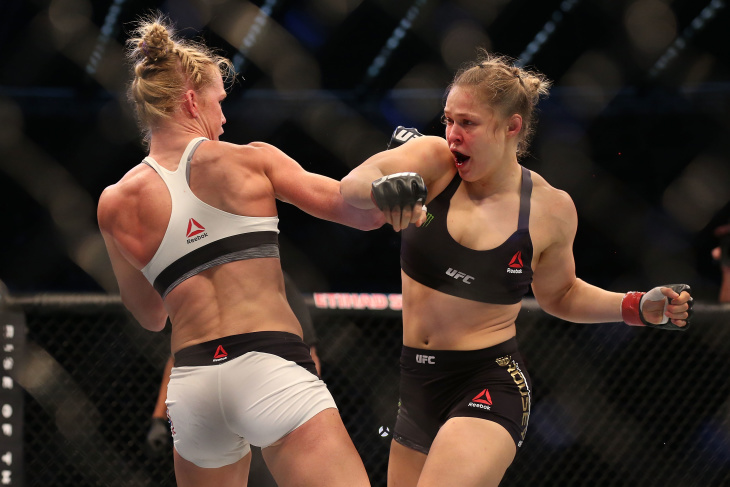 And I was literally sitting there and thinking about killing myself," Rousey told Ellen. "She got a lot of flak for it from some people that said she was a crybaby," Curry said. "When in fact, someone who's lost two family members to suicide is at higher risk than others for suicide. But that didn't stop her." Rousey has been honored by the organization with their Erasing The Stigma award for speaking up about her own issues, in addition to supporting Didi Hirsch. The new building is one of the only buildings that has the words "suicide prevention" on its sign, according to Didi Hirsch. The organization brought Rousey and Melissa Rivers to help promote the opening last month. "We wanted really, truly to take suicide out of the shadows, and so we found a building where we could do that on a busy street," Curry said. Since the sign was installed, it's brought people who were walking down the street, seeking help, into the buildling. "We had a person who had decided to take her life, unless she saw a sign from God that she was meant to live," Curry said. "And she happened to be driving by, and she saw our sign. It was her sign. She came in and we got her treatment. Our sign saved her life." Curry herself has a history of dealing with depression — she's lost three family members to suicide, and has faced suicidal depression herself. "I waited a long time to get treatment, and even longer to consider taking medication, just because of the stigma," Curry said. Now she's trying to make sure that others get help when they need it. For those who want to help Didi Hirsch themselves, Curry said that step one is knowing the National Suicide Prevention Lifeline phone number, either for themselves or so they can give it to others (it's 1-800-273-TALK). The organization provides training to help spot warning signs and respond to calls for help. They welcome volunteers in a variety of capacities. And, of course, they take donations. Didi Hirsch is holding this year's Erasing the Stigma Awards later this month, on April 25. "So often, when you lose a loved one to suicide, it's as if they never existed. Because the subject of suicide is just so awkward," Curry said. "So it's a chance to celebrate those that we've lost, and also to be focused on how we can save lives in the future." 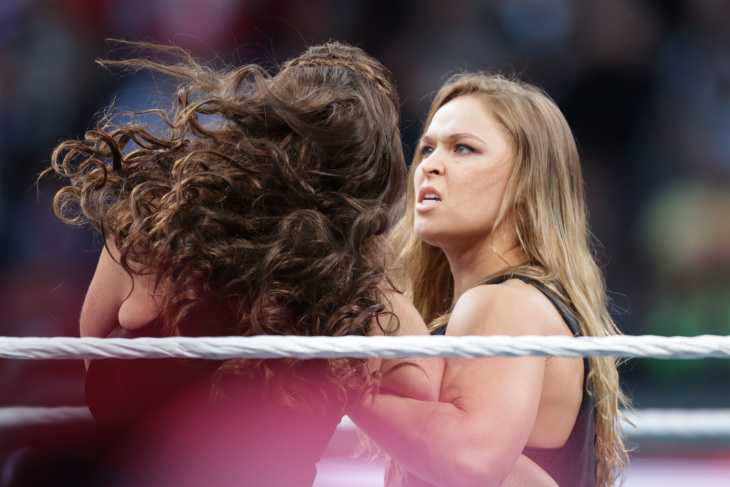 Meanwhile, Ronda Rousey will be fighting in the main WrestleMania event this Sunday.